Nola Aronson of Advanced Audiology is an 18-year breast cancer survivor and a member of the board of directors for Circle of Hope, and so decided to take her support of the organization’s mission to help cancer patients a step further by being title sponsor for the annual Vine 2 Wine event. 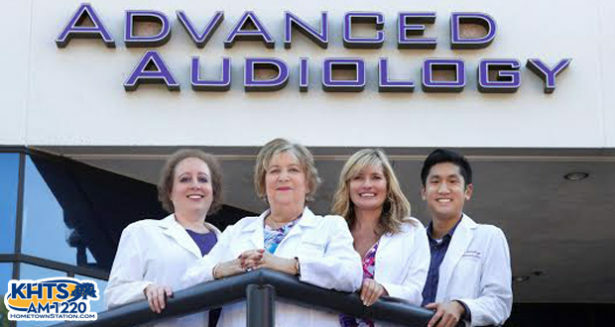 RELATED: Why Buy A Hearing Aid From A Private Practice Center Like Advanced Audiology? Vine 2 Wine is expected to have wine and food, music by Lance Allyn, a live auction featuring Assemblyman Dante Acosta as auctioneer, a silent auction and more, Aronson added. The event is scheduled for Saturday at CalArts in Valencia. In addition, Aronson is sponsoring Dancing With Our Stars 2018 on Aug. 24 at COC’s Santa Clarita Performing Arts Center. The event benefits more than a dozen Santa Clarita nonprofits, each represented by a local “celebrity” dancer who will partner with the organization to raise funds via proxy votes, the PAC website states. Further, Advanced Audiology also donates 10 percent of hearing aid sale proceeds to a number of nonprofits in Santa Clarita. “When you are thinking of where to entrust your hearing needs, wouldn’t you feel better going to a place that gives back and supports their community?” Aronson said. Not only that, Aronson has set a goal of giving 2,018 free hearing screenings in Santa Clarita in 2018, and has already reached about 1,650 screenings thus far.